Brown colored whole peeled and cooked chestnuts, vacuum packed. Ready to serve, you simply need to reheat them. 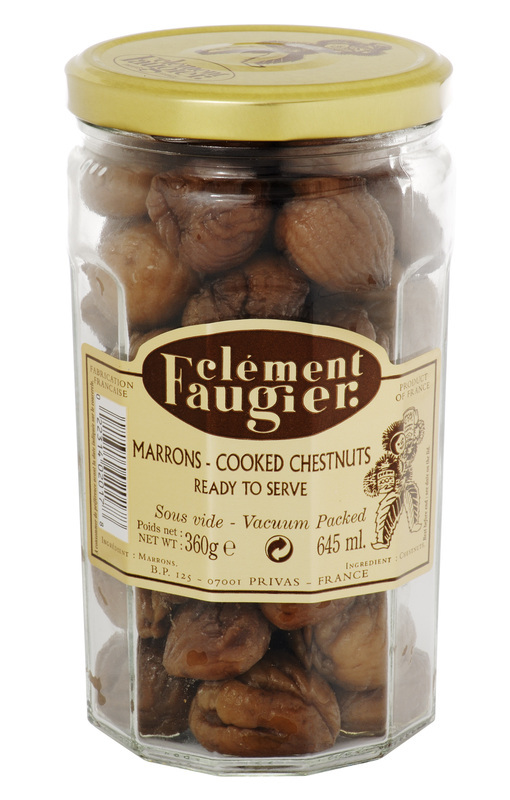 Perfect for any fall or winter meal, the whole cooked and peeled chestnuts from Clément Faugier blend flawlessly with game and poultry as accompaniment or stuffing. You can also sweeten them for desserts or candies.